This was the third railway line I had to pass on my long bike ride, unfortunately I didn't photo the first two. 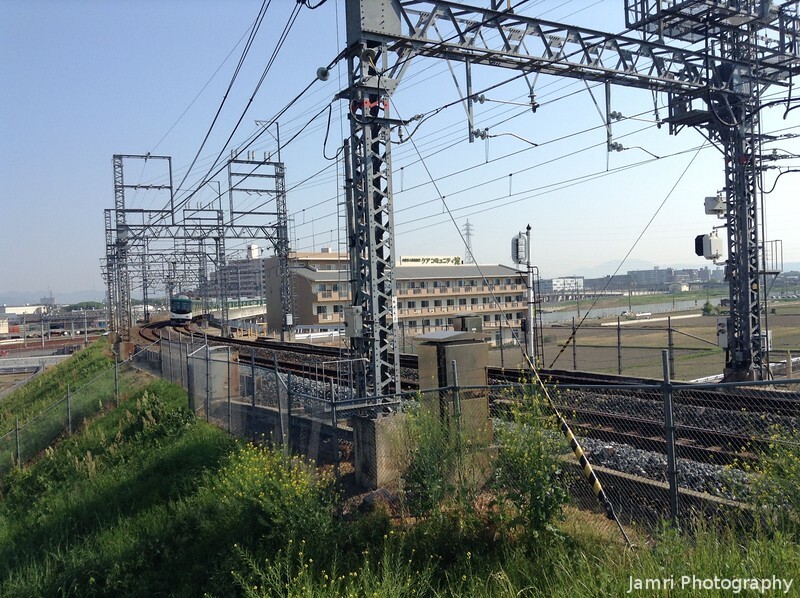 I headed east from my house passing first the JR Kyoto Line, then the JR Tokaido Shinkansen line. The Keihan Main line was the third and I had to make a bit of a detour from my course to pass it as there turned out to be no crossing on the route I had chosen. This is an outstanding photo. There's so much to see and study. Very well done! Thank you for your comments on my photos.